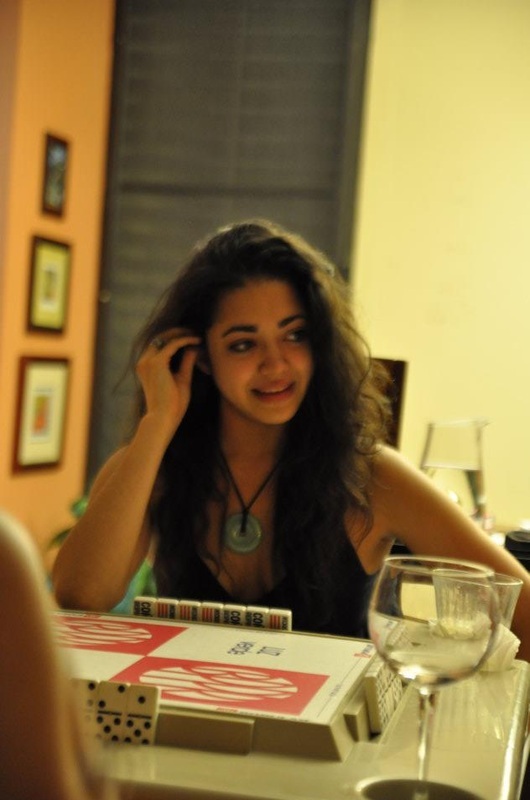 Alejandra Rivera Flaviá is a Latin American young woman concentrating in Theatre Arts at Brown University. Having been fortunate enough to perform in various productions at Brown -- including 1001 (PW), A Perfect Wedding (Sock & Buskin), and Yermedea -- she hopes to continue acting upon her graduation. Chantel Whittle is an actor, director, vocalist, and recent graduate of Brown University, where she studied Theatre Arts & Performance Studies. 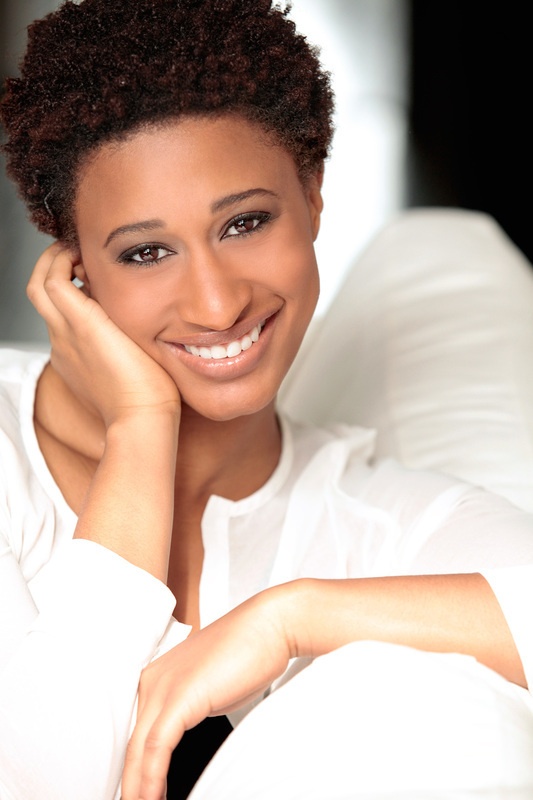 Recent credits include her solo show the M word, Gross Indecency: The Three Trials of Oscar Wilde, Pippin, and RENT. When not performing ratchetry, she's indulging in her love of theatre (both devising work and bringing new life to old texts), watching "Awkward Black Girl" (and "Ratchet Piece Theatre"), and staying involved with music (adding riffs to EVERYTHING). She's excited, a nervous wreck, and she wonders what her 20's have in store for her. Gabe Gonzalez graduated from Brown University with a BA in Modern Culture & Media. A Brooklyn-based filmmaker and performer, his most recent endeavors include the completion of an experimental sketch-comedy piece entitled BLUNDERF*CK, a brief appearance as an extra on the pilot of "Broad City" in development with FX, and discovering 5 uses of Adobo for skin-care. Besides his work in film and television, Gabe was also a member of Brown's oldest improv comedy troupe, IMPROVidence, and has performed at the Magnet Theatre's monthly queer improv show "There's No Place Like Home." He would like to thank Paulina Rubio. Jamie Harris graduated from Brown University in 2011 with a degree in Modern Culture & Media. She now lives in Brooklyn, NY, and works in computer software and management at the market-leading company for TV application solutions. Jamie is also a licensed real estate agent. Lauren Neal is an actress and writer from Aurora, Colorado. In May of 2011, she graduated from Brown University with a Performance Studies degree; she has also lived, worked, and studied in Manhattan and the Bay Area. Lauren performs live, writes, and records regularly as her award-winning alter ego Licki Ucroj, a Nicki Minaj-inspired comedienne/rapper with an ever-expanding fan base in underground hip-hop. Since moving to Los Angeles, Lauren has had lead roles in several short films; she appears in two comedic webseries: WORDS WITH GIRLS and THOSE WITH CLASS; and Lauren will make her indie feature acting debut in 2014 with THE LOVELY REJECTS. Mark Brown-Rodriguez is a graduate of Brown University, where he studied Theatre Arts and Ethnic Studies. During his time at Brown, he was a member of the New Works/World Traditions, Dance Extension, and Househeadz dance companies, where he performed works choreographed by Paul Taylor, Meida McNeal, Kara Tatelbaum, and many others. He was a two-time scholarship recipient to the American Dance Festival, where he studied under and performed work by Mark Haim, Michelle Gibson, and Shani Collins. His theatrical background also includes playing Demeter/Damascus in …and Jesus Moonwalks the Mississippi, Macduff in Macbeth, Hud in Hair, and the Voice in Hot 'N Throbbing. He made his Miami debut performing with the Rosie Herrera Dance Theater in the 2012 Miami Made Festival at the Arsht Center. His play for colored queer boys who considered givin up when givin yourself wasn’t ever enuf was recently presented by ArtistBloc (Washington, D.C.) and The DC Center. His recent roles include Sergio Valente in the Miami premiere of Diane Paulus's The Donkey Show, Black in The Wild Party (Outre Theatre Company), and Agamemnon in Rock Odyssey (Adrienne Arsht Center). 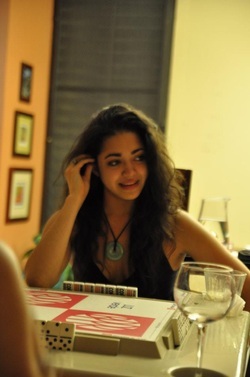 Russyan is currently an undergraduate student at Brown University. He is interested in studying Human Biology and Theatre Arts. At 13, he participated in the STAIRS (Saved to Train Artists in Reaching Souls) workshops; since then, he has been involved in small productions at church and school in the Philippines, where he lived for 15 years. Along with his potential interest in pursuing medicine, he has been involved in technical design for several of theater productions at Brown and has acted in musical revues, the student-written play The Reality Effect and Theater People of Color (TPOC) in the Upspace. Amanda greatly credits her vocal training to her time with the Metropolitan Opera Children’s Choir and to Liz Caplan Vocal Studios. Amanda credits her Method training to The Lee Strasberg Theater after preparing her for her first film role in "Across The Universe," directed by Julie Taymor and released by Revolution Studios in September of 2007. For two seasons, Amanda served as host of the Sports New York Network's ½ hour, weekly show "Kid's Clubhouse," a kids program all about The New York Mets. For three seasons, Amanda was a contributing correspondent for Fox’s nationally broadcast news program TEEN KIDS NEWS. Amanda has been studying, writing, and recording music and plans on continuing to develop her instruments and soon release an album. Jack is a multimedia artist focusing on digital musicianship. After meeting Gripp of glassEyeballs (c. 2004,) Jack began recording his own rap music using Garageband, and eventually teamed up with actress/singer Zoë Chao in 2008 to form the hip-pop duo CompanyZoJa, now known as Co.Z. In 2010, Jack taught himself Logic Pro and began producing original instrumentals using more advanced mixing and mastering techniques, while continuing to develop his digital graphic media abilities for album covers and visual marketing. While attending Brown University, Jack met Lauren Neal and Licki Ucroj, and started expanding his musical network. He was introduced to the Brown University NewWorks/WorldTraditions performance group and started producing neo-psy-tribal-trip-hop instrumentals for their 2011/2012 performances. Gripp introduced Jack to Brooklyn producer The Mad Psyentist, and the two formed an alternative hip-hop/rap duo called Jack The Ripper & The Mad Psyentist working on a trinity of concept albums inspired by world religions. Most recently, he has been creating sound for a number of different movie scores, and is rapping on trap-rap instrumentals produced by the Australian beatmaker known as Ignant Music. Jack has completed ten solo rap projects, most of which are available at www.soundcloud.com/getjacked. Jack is currently unsigned but would consider making deals with Kanye West, Jay-Z or Yasushi Akimoto... but probably not Eminem, P. Diddy, Lil' Wayne, or his father. Nick White is one of the co-creators of "Spicy Wit" and hails from Belmont, Massachusetts. He started acting in theater at the age of nine, and eventually took on many more responsibilities behind the scenes during his college career at Brown University, which culminated in a Performance Studies degree in the spring of 2010. Nick currently works as a management consultant in Washington, D.C.
Sam is currently working in film and television production in New York and is interested in content creation and planning. He is a dancer as well as an actor and studied at the American Dance Festival at Duke after graduating from Brown, where he performed with New Works/World Traditions for two years. In the summer of 2010, he traveled to Bamako, Mali, with New Works to study traditional Mandé dance and drumming with artists at the Yeredon Center for the Malian Arts. He is currently working his way through the Black Experience collection at the New York Public Library. Follow him on Twitter and Instagram: @DrFannenSays and join the conversation on his Dr. Frantz Fannen Facebook page.